HOUSTON -- A U.S. Airways plane was forced to make an emergency landing without its nose gear at Bush Intercontinental Airport. The Houston-bound flight was coming from Philadelphia and had 53 passengers, as well as four crew members, aboard. A spokesperson with the airport says the pilot noticed the landing gear wasn't coming down and decided to make an emergency landing. The plane landed safely, with passengers exiting the aircraft on slides. One passenger was injured, though according to the airline, th injury is not believed to be serious. The National Transportation Safety Board is heading to the airport to begin an investigation. American Airlines Flight 1825, operated by US Airways, from Philadelphia International Airport made a safe landing at Houston George Bush Intercontinental Airport yesterday evening after the nose-gear did not deploy. The Embraer 190 had 52 passengers and a crew of four. 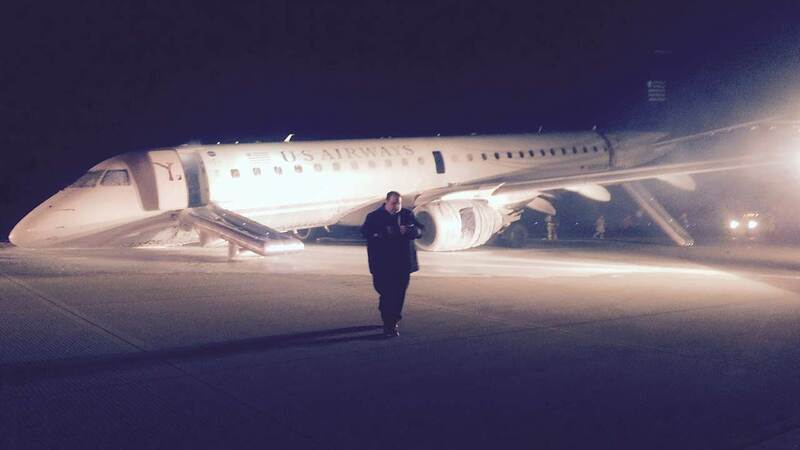 The passengers exited the aircraft on the tarmac via aircraft slides. One passenger has been transported to a local hospital, however, the injuries of that passenger are not reported to be serious. American's primary concern at this time is for our passengers and crew. We are in contact with the authorities and cooperating with response efforts.